Tonal stitching and hardware elevate the sleek look of crisp-white jeans that get a little edge from light distressing and raw hems. 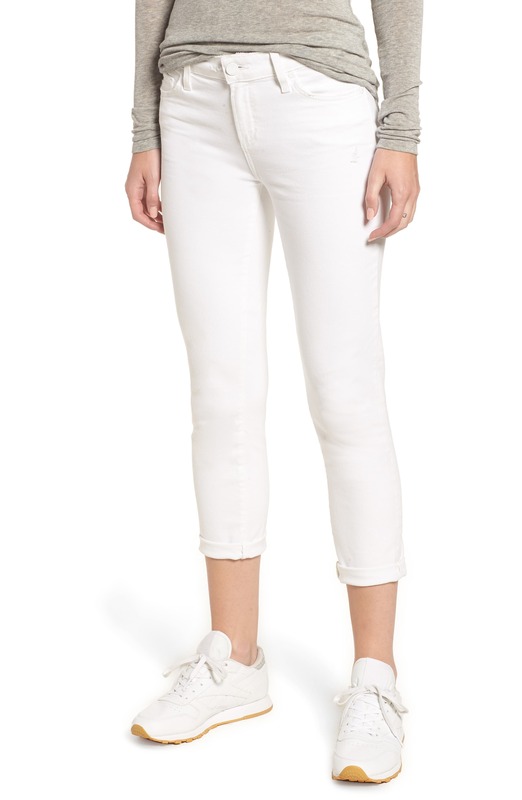 Style Name: Paige Skyline Raw Hem Crop Skinny Jeans (Lived In Crisp White). Style Number: 5601126. Available in stores.